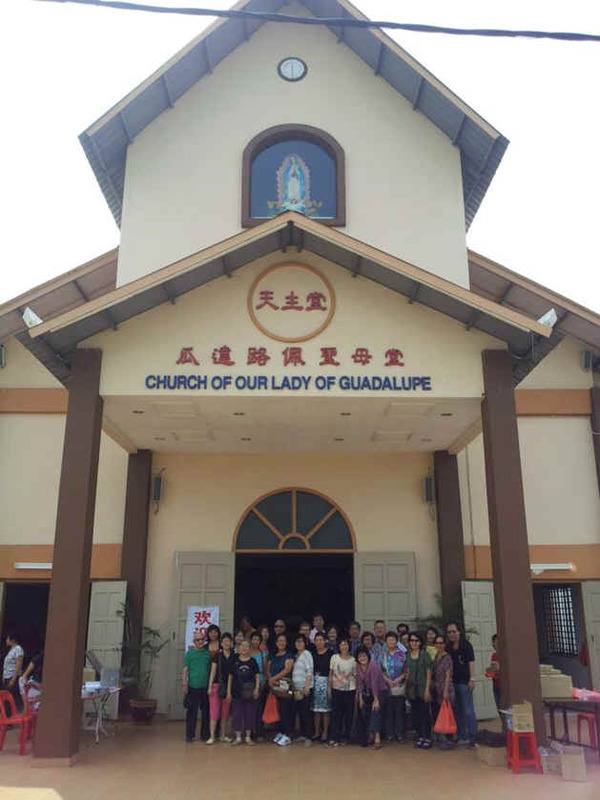 The new Church of Our Lady of Guadalupe in Krubong, Malaysia. From the above excerpts, we realize that Our Lady of Guadalupe’s love and purpose have not been limited to the Latin Americans only and she did not come to Mexico in 1531 just to end the idolatry and human sacrifices at the time or to convert more than 8 million Mexicans to the Catholic Faith. Her purpose since the time of her coming to Guadalupe in 1531 has been truly much bigger and wider and much more important. 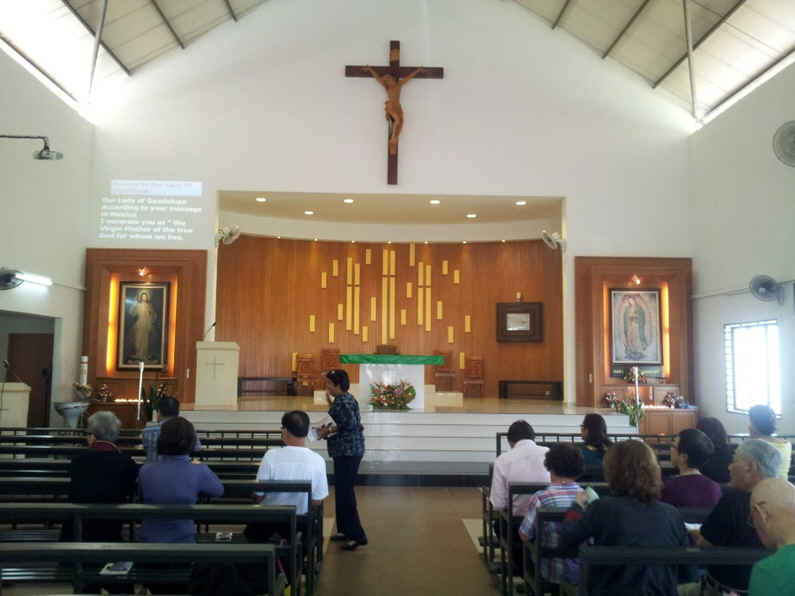 In addition to what she accomplished in Latin America, she has also determined to end all abortions in the entire world and take all of her children in the world to her Son Jesus through her Immaculate Heart especially in our current time. Therefore, Our Lady of Guadalupe is truly the Queen and Mother of all her sons and daughters in the world. We must not keep distance from Our Lady of Guadalupe as if her concern and mission have been a limited one. We must widely open our eyes to clearly see that we are truly within the time when Our Lady of Guadalupe will soon crush the head of Satan as prophesied in Genesis 3:15 and establish a new holy and justice world which will be reigned by her Son Jesus. For this she also needs the help of her children all over the world. In the Blessed Mother’s working toward her purpose, I believe that she will use as one of her tools the Special Photograph of the Missionary Image of Our Lady of Guadalupe taken at the National Sanctuary of Our Sorrowful Mother in Portland, Oregon, on August 15, 1991. To fully and deeply understand this photograph will take some time. Once we understand the photograph, we will clearly see that this photograph is the same Image as the original of 1531 but contains additional images which will guide, help, and protect us in our modern age. Please advise others to frequently visit our website: www.marys-touch.com, as it contains much more information. If you need more of this photograph, you can order more from us at any time or can produce more of them at your location. We applied for copyright on this photograph from the U.S. Government and expect to receive the notice in a few months. We did this to prevent making copies for commercial purposes or someone applying for copyright ahead of us and thus making us unable to produce the copies. If you wish to make copies for Singapore and Malaysia, please let me know so that I could issue a paper allowing you to make copies (without any financial relations with us). You can spread this photograph (together with the explanation sheets) free of charge to people or can charge some to cover your costs. One other reason what we need the copyright is to maintain the high quality of the photograph. From your Internet image of this photograph, you can place an order at Costco or other photo copy makers. Please join in our efforts to keep the high and pure quality (including colors) of the copies, as they can easily deteriorate if not carefully watched. When you decide to make the copies, please make several samples first and choose the best correct one among them to be used for mass printing. When you have the chosen sample, please send it or a copy to us for approval. We may either approve it or suggest correction. Please watch the quality and color of the photography always and every time you make copies to avoid deterioration. These requests apply only if and when you wish to make copies yourself.